fragment design head-honcho Hiroshi Fujiwara continues his collaborative efforts with Nike, following up the Tennis Classic and Tennis Apparel collections with this hybrid of the designer’s favourite Beaverton silhouettes. 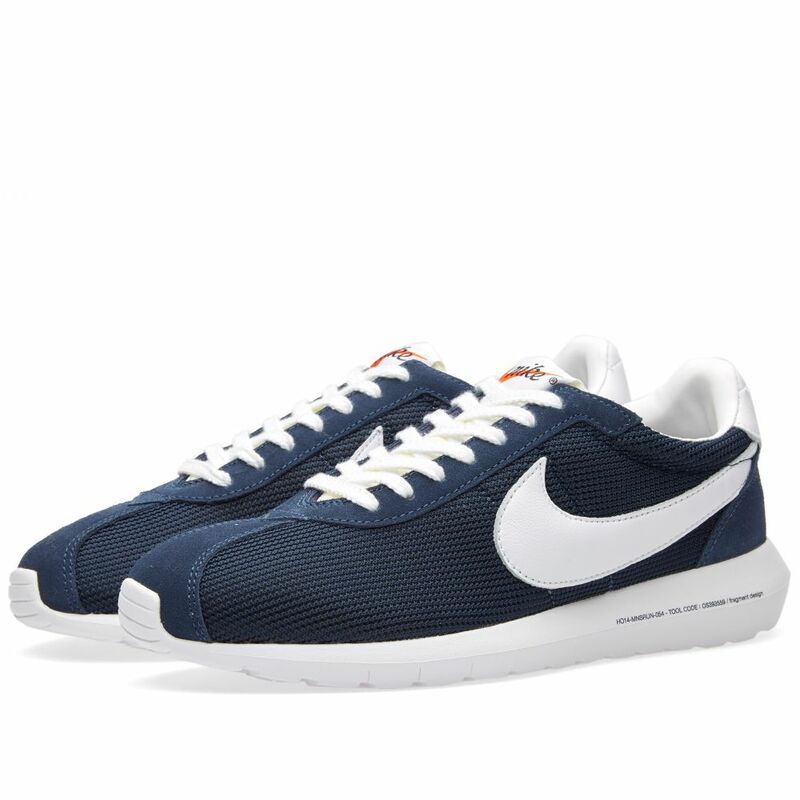 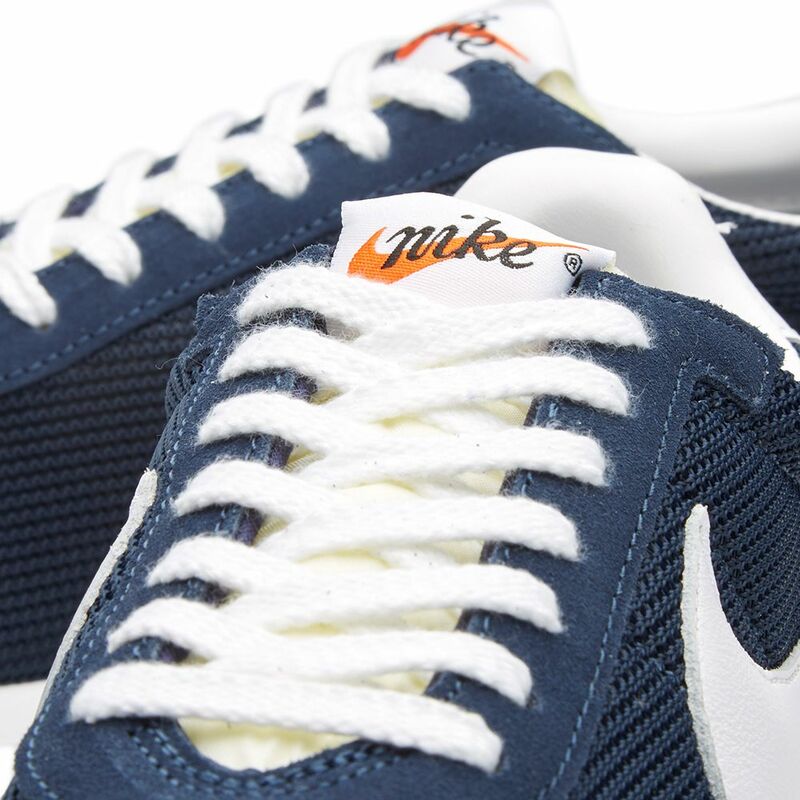 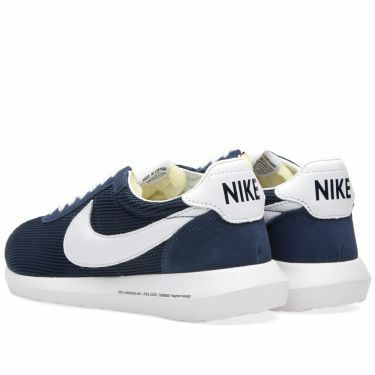 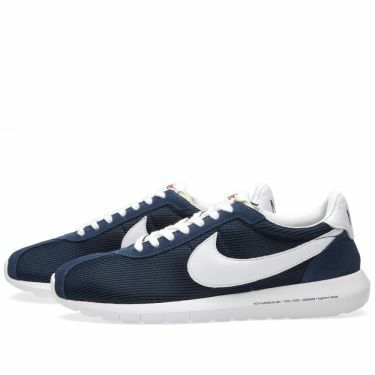 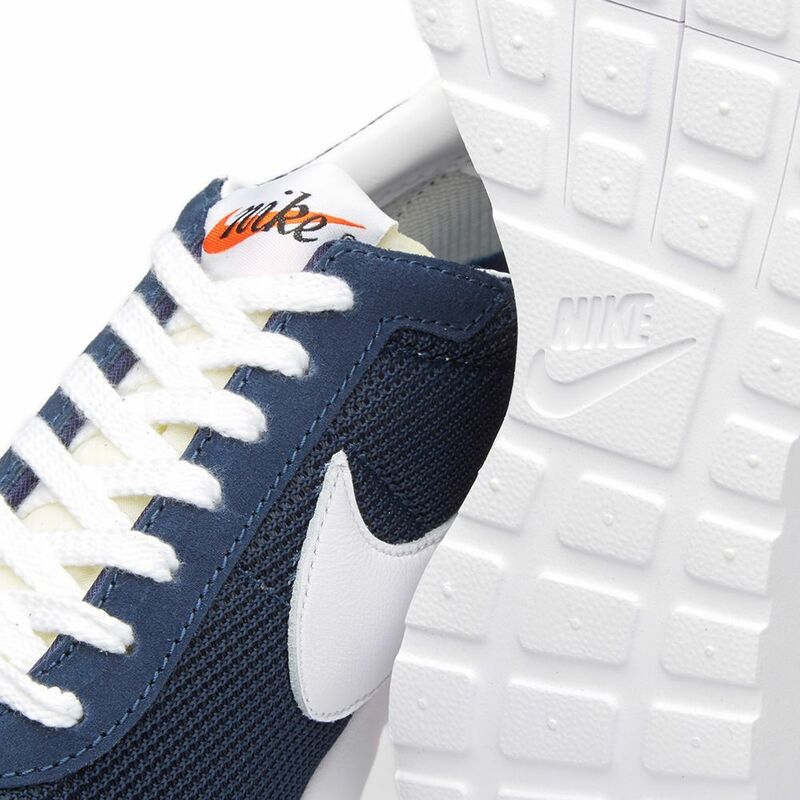 A nod to Nike’s storied footwear history, the Roshe LD-1000 combines the upper of the iconic Cortez and, a Fujiwara favourite, the LD-1000 in a navy mesh construction with tonal suede toebox sitting on top of the innovative Rosherun NM Natural Motion sole unit in a fresh contrast white. 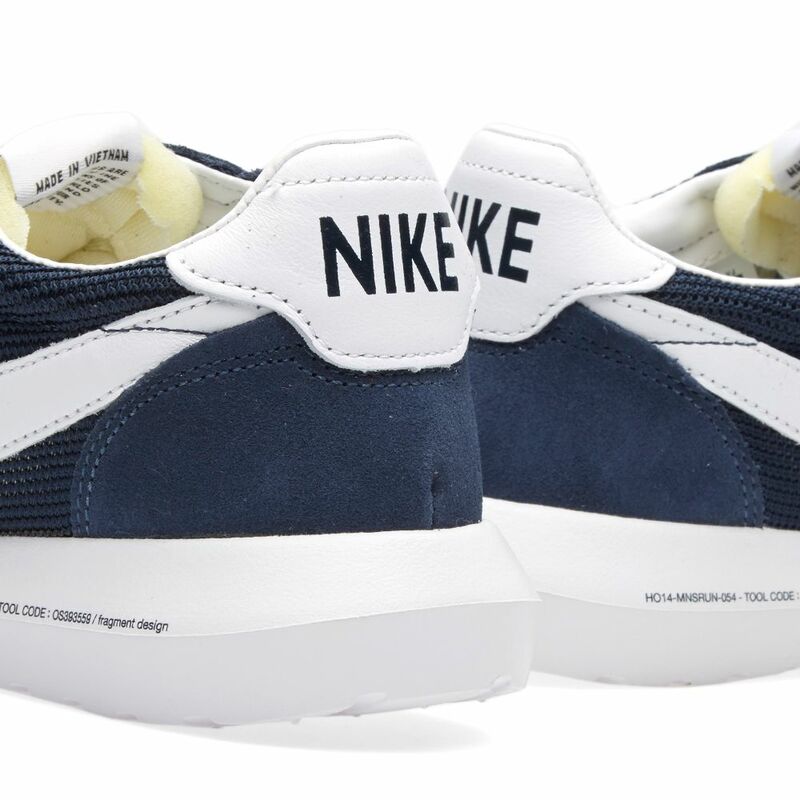 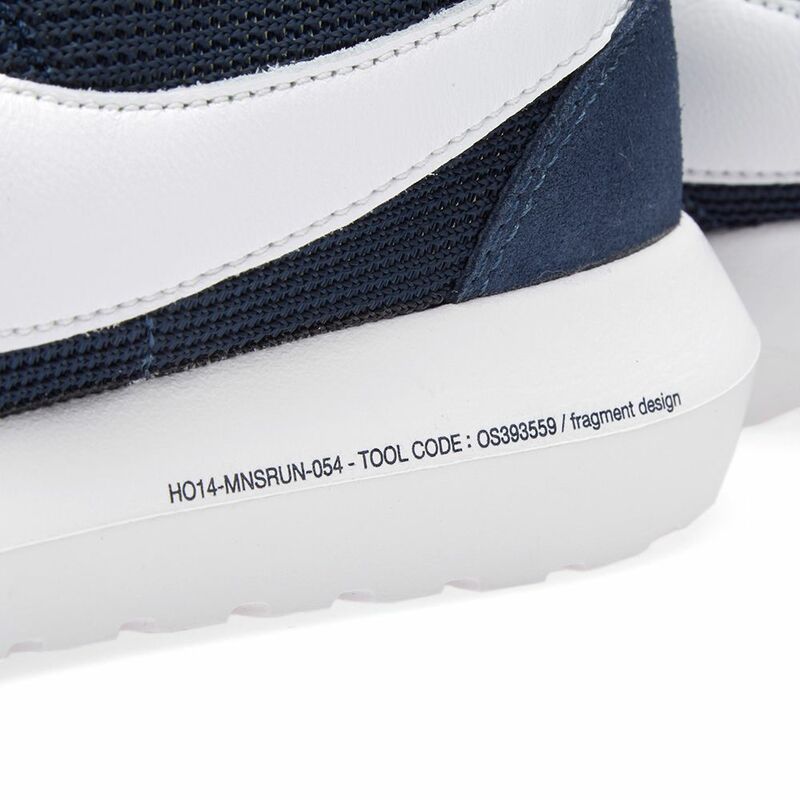 The paired back sneaker is finished with a white leather ‘fat belly’ swoosh to the upper, dual branded insole, contrast white laceset and Cortez tongue and heel tab details as well as fragment decals to the midsole unit.